Selecting the right gestational surrogate is one of the most important decisions a patient will make during fertility treatment. While each patient will have a unique set of circumstances for their particular surrogate, there is probably no such thing as the “perfect” surrogate. In reality, choosing a surrogate is about priorities and compromises. With that in mind, the following criteria should be considered when looking at gestational surrogate candidates. If given the choice between a surrogate who has successfully been through a surrogate pregnancy and one who has not, the experienced individual is likely a better choice. The reason is that you can use her track record to predict future behavior. There is less reason to worry about her reaction at the time of birth (overwhelming feelings of attachment for example) and she will understand the commitment required of her to complete the process. On the other hand, someone who is too experienced may not be a good choice form a medical point of view. Also, experienced surrogates tend to request greater compensation. Further, a first time surrogate may be an excellent choice, experience is just one factor to consider. A surrogate must have a minimum of 1 successful, uncomplicated pregnancy and delivery. This means that the delivery was full term (close to 40 weeks), and was not associated with complications such as; severe pre-eclampsia, gestational diabetes, hypertension, hemorrhage or birth dystocia. Further, the surrogates child(ren) should not suffer from any abnormalities such as cerebral palsy. Moreover, history of a c-section should not exclude a potential candidate. Too many c-sections can be an issue, but one or two (possibly more) are generally acceptable. The candidate should be free of any major medical problems such as uncontrolled hypertension or diabetes. 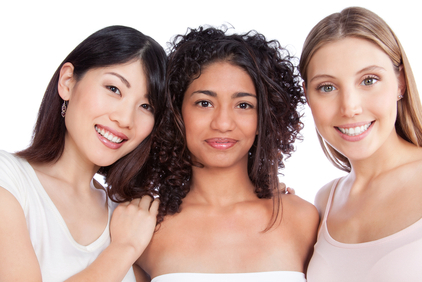 In addition they need to have a normal gynecologic history (pap smear, uterine evaluation, etc). The candidate should be current on all of her preventative health screenings such as mammograms and she should have had all of the recommended immunizations and boosters. The ideal candidate is extremely reliable and available. Ideally, she should live close to the intended parent and doctor’s office. She needs to return phone calls promptly, get to appointments on time and be responsible enough to follow directions on medication and timing. Further, the family life of the surrogate needs to be stable and supportive. Importantly, an intended parent needs to feel comfortable with their surrogate. Remember, a surrogate is the single most important babysitter a child will ever have. The intended parent needs to be able to communicate clearly with their surrogate and have faith that the surrogate is taking the best care of her pregnancy as is possible. The relationship between a surrogate and IP should be based on honesty, respect, communication and trust. This relationship is unique and sacred. Ideally, the bond between IP and surrogate is an added benefit to the entire process. If you have any questions about gestational surrogacy, feel free to contact us, we will be happy to discuss it with you.